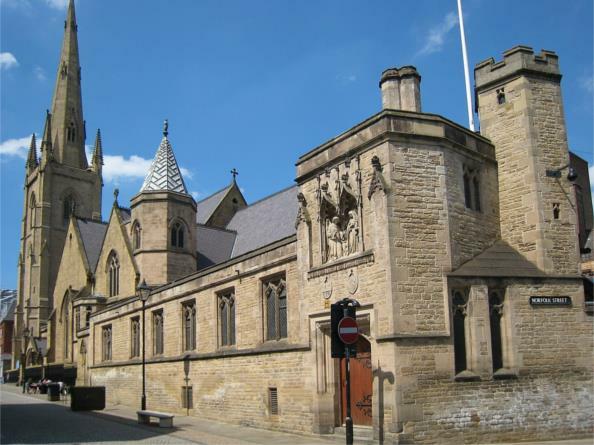 Located in the heart of Sheffield’s city centre, St Marie’s Cathedral is a hidden gem ready to be discovered. Being the mother church of the Diocese of Hallam, St Marie’s is an oasis of calm and spirituality. Also, the combination of its fascinating history, recently restored architecture and exquisite features -some of which were designed by the world-famous architect, Augustus Pugin- make it perfect for an unforgettable and inspiring visit. St Marie’s Cathedral also has an exciting programme of activities and events such as guided tours, exhibitions, family workshops, organ and bell ringing demonstrations, musical events, school sessions, etc. For further information please visit www.stmariecathedral.org or follow us on our Twitter and Facebook accounts (@whatsonSMCSheff / What's on at St Marie's Cathedral Sheffield). Follow directions to the City Centre, we are based down from the Town Hall and the Mercure Hotel.